A one-stop (travel-sized!) 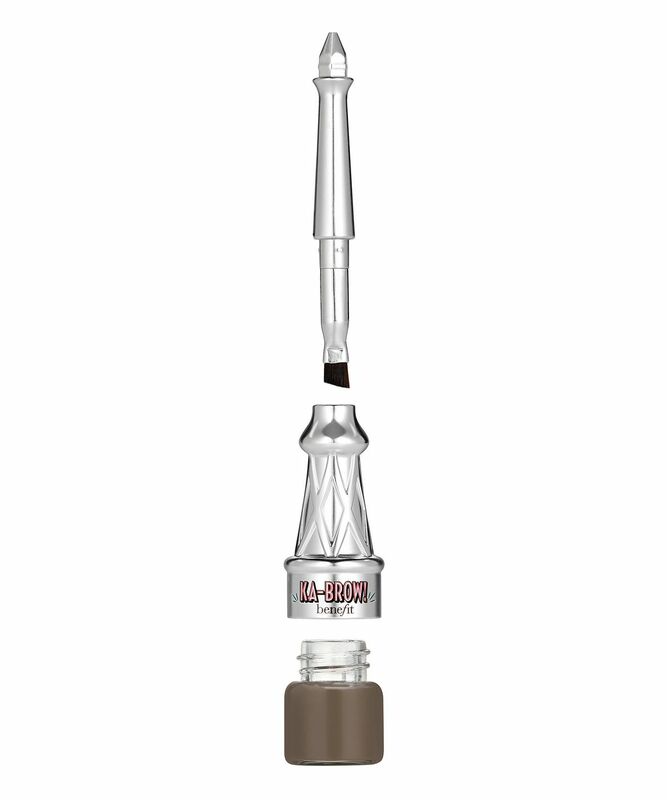 ticket to brilliant brows, this all-in-one eyebrow gel-cream fills, sculpts and defines brows with rich, buildable colour – seamlessly applied with the built-in hard-angled brush, which magically converts to full-size for precise and effortless control. From natural-looking to dramatic, the wonderfully waterproof colour can be layered up to suit your shifting eyebrow mood. A little all-in-one wonder pot, Benefit’s KA-BROW! Eyebrow Cream-Gel Colour performs genuine make up magic, transforming sparse, bare brows into immaculately sculpted arches. Quick and easy to use, it features a built-in hard-angled brush (which converts to full size for enhanced, effortless control), which can be used to mimic tiny brush hairs and seamlessly apply the cream-gel colour. 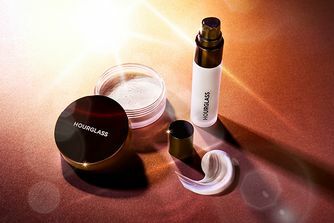 The rich, long-lasting formula – it offers up to 24 hours of waterproof wear – can be built up to create a more dramatic effect, plus it’s available in a spectrum of eight shades so you’ll be sure to find a colour to match and flatter your natural assets. Remove the cap and pull out the built-in brush. Flip the brush around and snap back into the cap. Lightly glide the brush across the cream-gel…a little goes a long way! For a natural look, stroke a tiny amount onto brows from start to arch. Re-dip, then apply arch to end. The only thing missing from this product is a spoolie to brush your brows into shape. Otherwise it's great for travel as it's a brush and product all in one. 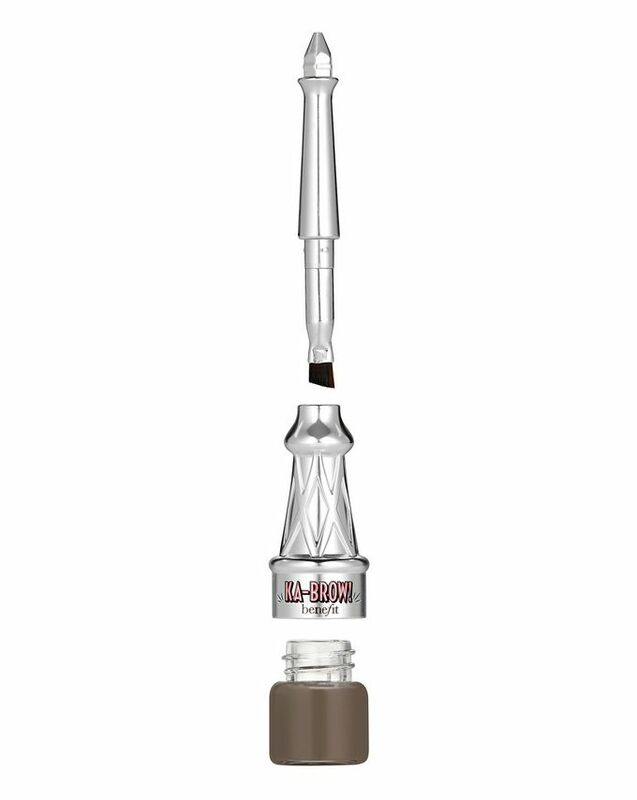 Stays all day and works like any other brow pomade. The packaging is cute too. Nice to be able to buy mini sizes for travelling as well. Found shade 4 to be a good shade, wasn't too red or warm on my cool toned hair/skin. I was going away and forgot to take my ABH pomade, so I had to quickly get something to fill my brows in with for the next few days. This product is honestly a joke. I had bought the shade 4 and it was just such a red-brown, it did not suit me at all. Not to mention how much this smudged and feathered? I don’t get the hype around this, or any other benefit products to be completely honest. Awesome product...stays on for several hours, a must buy product. This product is very dry and needs a little bit of warming up to make it a bit more malleable. I don’t find this provides any hold like my holy grail eyebrow cream gel. It is buildable but can look heavy and obvious. I have the shade 6 and almost looks black. This is a cooler eyebrow colour so be aware. I’m happy this is a mini because I can’t see myself committing to a bigger one. The brush is a great idea but I would recommend you clean it after every use as the leftover product will make it very stiff and dry. It's good, smudge proof. Delivery fast thanks, Cult Beauty. Easy to use. Travel size is great for my handbag. The product lasts well. Very pleased.